This dish is fantastic to do with badly-shot pheasant. Stir-frys are a great quick and healthy dish to prepare at the end of a long day and you can pretty much throw any vegetables in that you have to hand, not just the ones mentioned above – these just happen to be a few of my favourites. 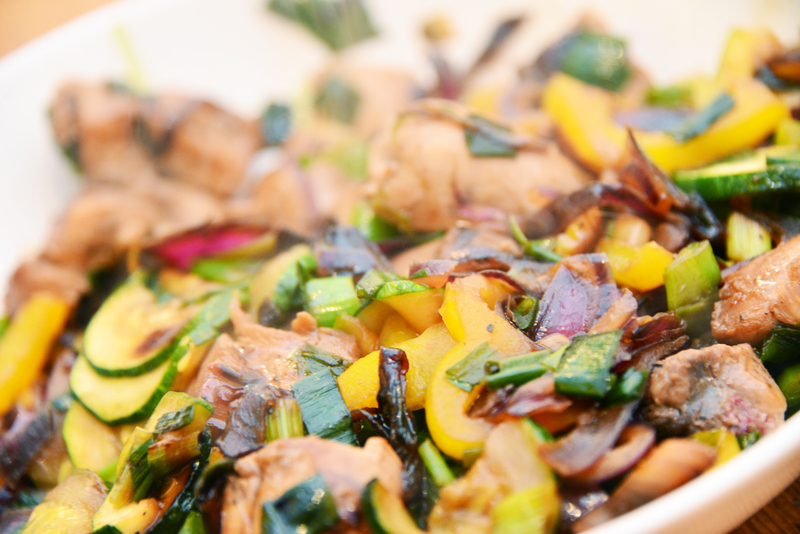 Finely slice your red onions and courgettes, cut your pepper into chunky strips and coarsely chop your spring onions. If you like a bit of spice, add a chopped up, deseeded chili. Great stir-fry. I have some teal I shot today and would love a recipe idea or two.